PlayerUnknown's Battlegrounds is bringing back "the days of Early Access" with a special event that strips PUBG back to its pre-alpha form. Early Access Memories, which is live now and will run until 7pm PST on August 19, 2018 (which is 3am on August 20, UK time), gives players the chance to play with old-school loot, rules, and a steaming heap of nostalgia, of course. 25 four-man squads can leap into Erangle in both third- and first-person perspective where they'll get to play game settings that "mimic the settings used during the Early Access period". It's not all bad, mind; the current control scheme remains intact, your weapons should work as they presently do, and the blue circle won't batter you more the further away from the safe zone you are. Crucially, level three helmets can still spawn in the world, while Kar98ks, Tommy Guns, camo jackets, and the much coveted Ghillie suits will be recoverable from care packages. Just don't be expecting any Aquarails, as they "will not spawn". Oh, and yes, the red zones are enabled, too. 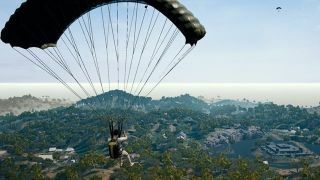 Earlier this month, PlayerUnknown's Battlegrounds developer PUBG Corp announced 'Fix PUBG', a campaign that intends to do what it says on the tin. The initiative casts its net wide as it targets performance, matchmaking, bug fixes, quality of life improvements and more.